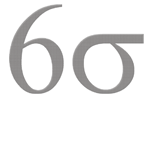 There are some misconceptions about the Six Sigma Methodology. The idea behind it is pretty straightforward. It is about people looking at their businesses and finding ways to make them more efficient. In this article, we will look at how to achieve your company’s Six Sigma goals. The name ‘Six Sigma’ itself is derived from a statistical term for achieving perfection. It is about looking at a situation and analyzing it. With the right tools and the right approach, you can find ways to accomplish your ambitions while at the same time removing a lot of the obstacles in the way. One concept that often comes up is the idea of defects. When people think of the term, ‘defect’, they often think of products such as electrical goods. It is true that this idea can be applied to physical items. You look at how the product is constructed and look at how it could possibly go wrong. You then consider how to change the design of the product in order to avoid the problem in future if it has been reported or to make a more efficient product so that the problem does not occur. However, the term defect can also apply to less tangible aspects of a business. For example you may run a call center. A typical call center problem is a volume of calls but a low volume of sales. Using a number of Six Sigma techniques, you can analyze the situation to see how this has occurred and fix it permanently. One example of a Six Sigma Tool is the Pareto Diagram. This is based on the idea that 80 percent of problems facing a company can be traced back to 20 percent of root causes. What you need to do is look at the factors affecting your business, both in a positive and negative way. These are also often referred to as variances. Once you discover the negative variance, you can look at how it is affecting your business and remedy it. Going back to the example of the call center, the problem may be that there is no script for the workforce. The positive way to deal with this is to write a quick and easy script for the caller with responses included to help overcome any potential objections. Another possibility is that the workforce is not motivated. A target such as bonus commission or a vacation for the whole team could help increase motivation. Sometimes, the problem can be that a large goal can feel overwhelming. One method of dealing with this is by using what is referred to as a Tree Diagram. This is where you take the large goal and break it down into achievable targets. Using the example of the call center, once again, you could aim to get 1,000 successful calls in a year. You could then break that down to 100 per month, with 2 additional months in order to help achieve the target. These are just a couple of examples of how you can use the Six Sigma Process to achieve company goals. It is worth looking to see if there is this method of quality improvement is a good fit for your particular business. You can also look online for more techniques to help you achieve your ambitions.